What do you get when you combine an aquarium, a greenhouse, and a fish farm? The answer is aquaponics. Aquaponics is the process of operating fish farming and hydroponic plant farming in a contained system where the water is circulated, filtered, and reused between both. Here’s how it works. The water in the fish tanks builds up waste that need to be filtered out to keep the fish healthy. But this waste can actually provides nutrients for plant growth so in an aquaponic setup, that water is used to hydroponically grown plants. The plant roots filter the water by taking up and using these valuable nutrients. By circulating the water through the system in this way, both the plants and the fish benefit, and the water is reused. The system also provides a natural environment where vegetables, herbs, and fish are all raised organically. 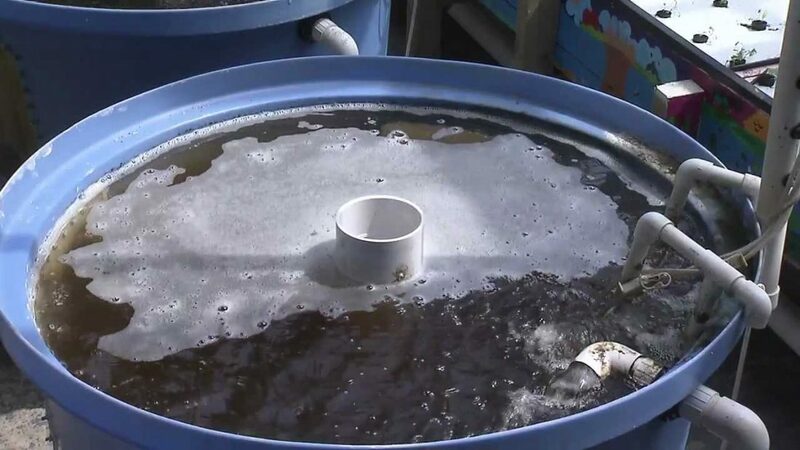 For a great explanation of the process, as well as a tour of what an aquaponic system can look like, watch this video from the Purdue University Extension office. If you would like to learn more about aquaponics, contact IISG Aquaculture Marketing Specialist Kwamena Quagrainie.